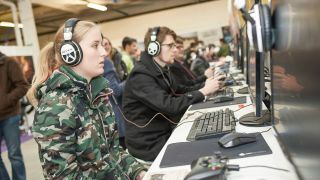 Our friends at PC Gamer had such a good time hosting a weekend full of tournaments, developer interviews, and down-and-dirty hardware workshops earlier this year that they're doing it again: the PC Gamer Weekender is coming back on February 18-19, 2017. Another strong lineup of unreleased games, tournaments, and merchants is on tap and tickets are available now. Picking up a discounted early bird ticket for as low as £9.99 will get you a day of access to the show at Olympia London as well as a copy of PC Gamer's February 2017 digital edition. The early bird Weekender+ ticket is an even better deal, with two days of early access to the event floor and extra goodies, all for £19.99. Stay tuned to the official PC Gamer Weekender site and Twitter account for more updates. And even if you can't make it, make sure you tune in to the livestream from the show floor.